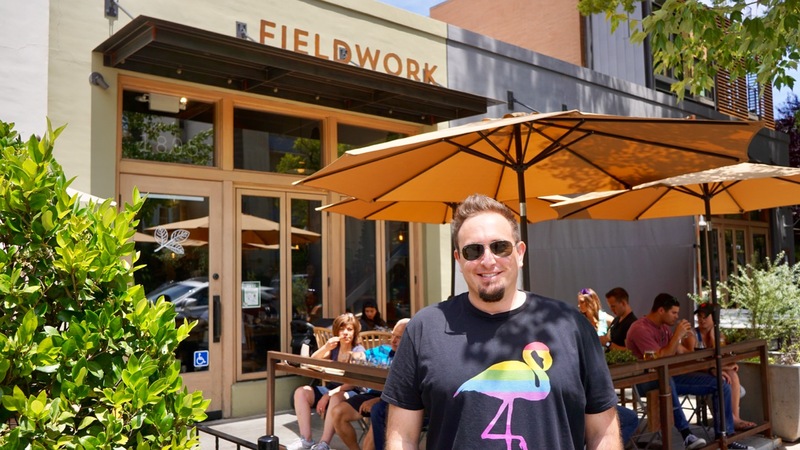 Fieldwork stood out to us on a recent trip to Midtown with their great curb appeal and attractive patio area. 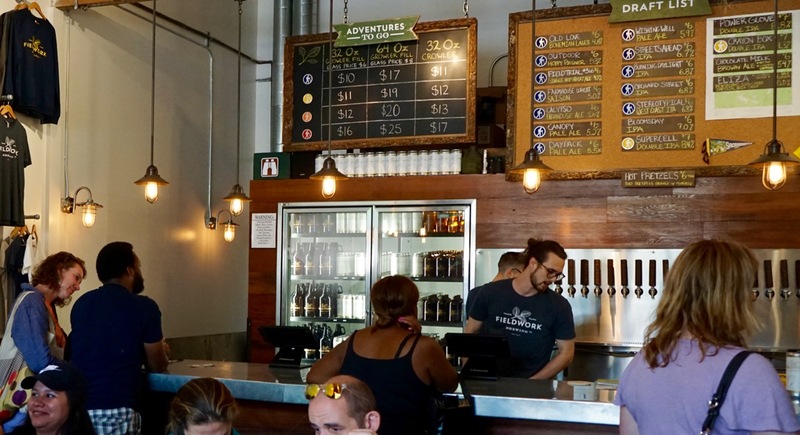 We were really happy to find that they also have great brews and complimentary snacks in their small, but delightfully styled tap room. Upon arriving we queued up to place our order at the bar where we were greeted by a very knowledgeable and helpful bartender. 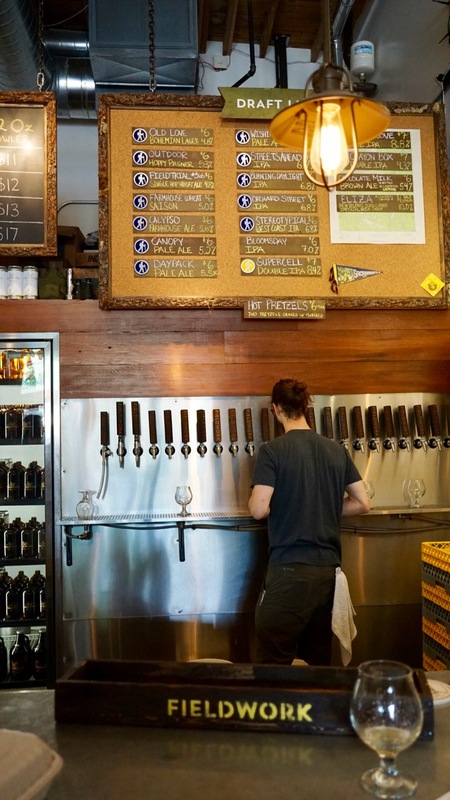 We found out that this is a satellite location for them and the actual brewhouse is in Berkley, yet they still had almost 20 beers on tap. Varying widely from light to dark (with a large bulk of IPA's) we opted for a custom flight of refreshing lighter beers to complement the warm summer day of our visit. 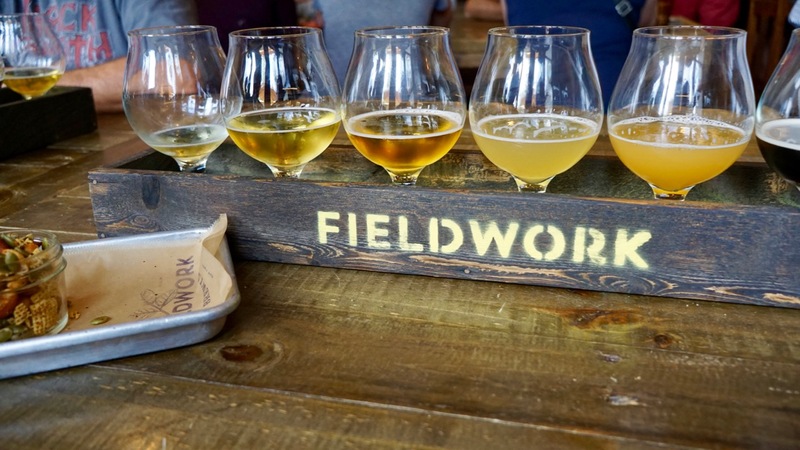 We loved the Fieldtrial #366 Single Hop Wheat Ale for its refreshing taste and hoppy complexion. 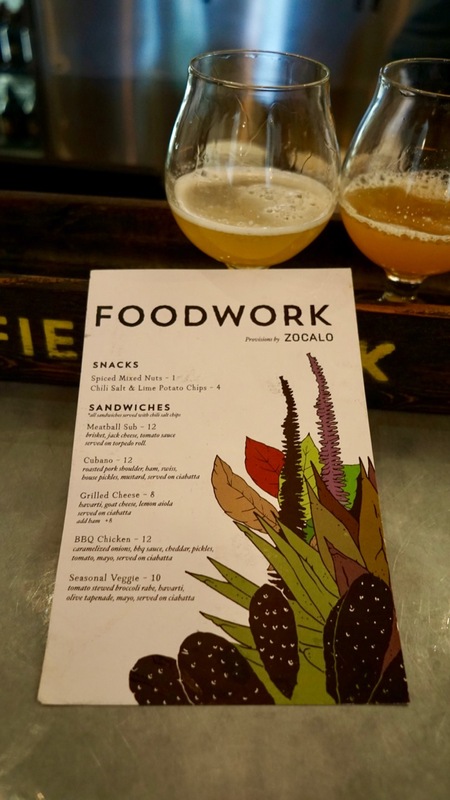 In addition to our beers, we also ordered snacks off of their custom menu which is provided by their neighbor restaurant Zocalo. 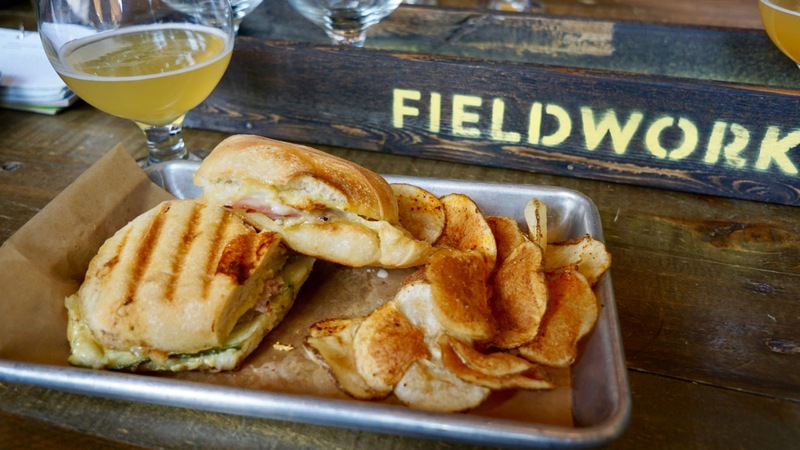 The spiced mixed nuts and Cubano sandwich were both delicious and went well with our beer selection. 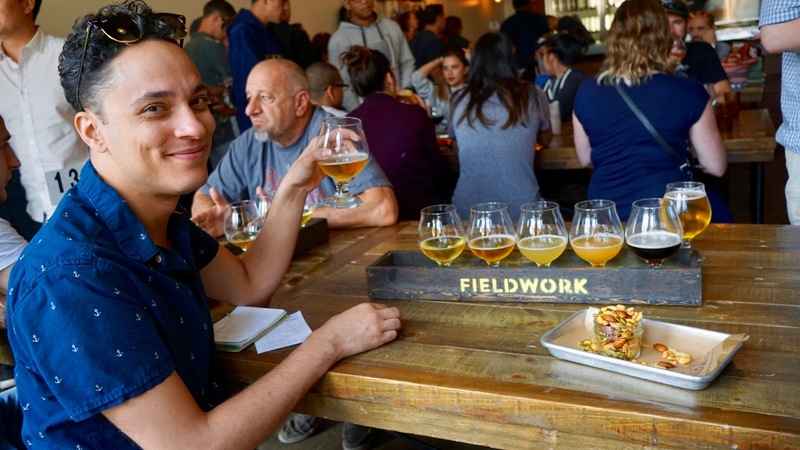 Seating at Fieldwork is communal and we were happy to strike up a friendly conversation with fellow beer drinkers at our table. Tip: By the time we left on a Saturday afternoon, the place was packed solid. I'd highly recommend getting here early if you want a spot on their nice patio.